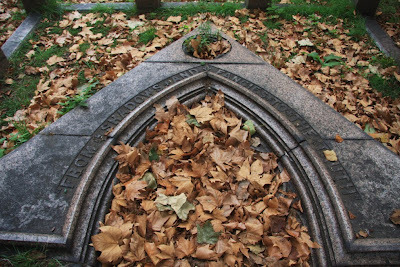 For Halloween - or Samhain as pagans prefer to call this time of honouring the dead - here are some pictures I took at London's Brompton Cemetery when I went there to investigate the Brompton Cemetery Time Machine. This splendid Victorian cemetery, built at the same time as Highgate and Nunhead burial grounds, has plenty of intriguing monuments quite apart from the mausoleum that - according to legend - was designed by an eccentric scientist as a means of travelling through time. Take that strange archway in the photo at the top, for example. It lies flat on the earth rather than standing upright. Perhaps it was simply a victim of a German bombing raid during the Second World War, toppled by the blast and never restored. 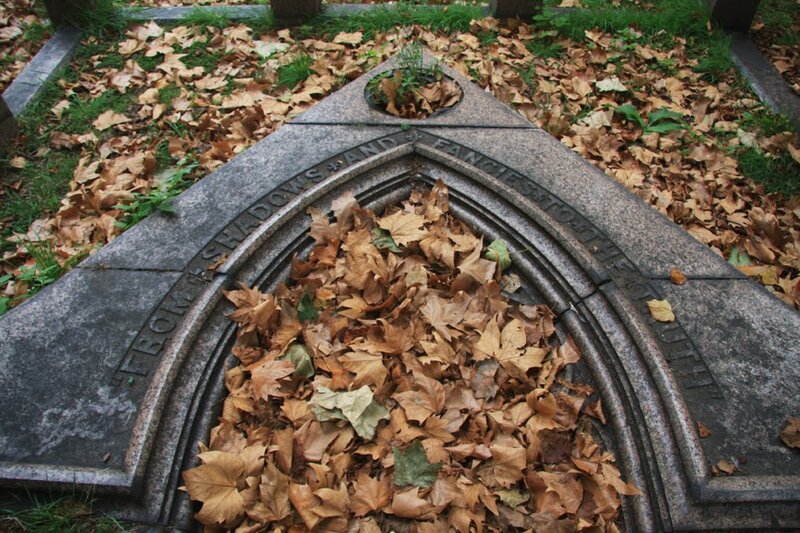 Or perhaps it was built that way - and if one was to sweep away the autumn leaves one would find a Gothic doorway which, if opened, would reveal a staircase leading down into an underground world of sepulchral chambers. One interesting fact I learnt about Brompton Cemetery is that Beatrix Potter used names from tombstones she saw there as inspiration for some of her animal characters in her books. Inscriptions on headstones include Mr Nutkins, Mr McGregor, a Tod, Jeremiah Fisher, Tommy Brock - and even a Peter Rabbett. It is also said that Mr McGregor's walled garden was based on the colonnades. 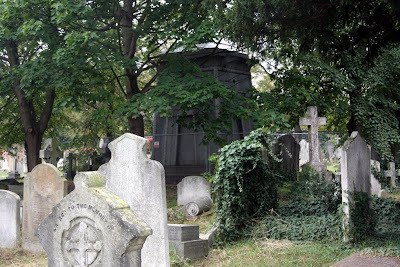 The photo below shows the supposed Brompton Cemetery Time Machine standing behind rows of tombstones.